Give us your elevator pitch for GaggleAMP. – GaggleAMP is the social marketing platform that lets companies amplify their social media reach by leveraging individual employees, customers, and partners. Using GaggleAMP, companies can widely distribute their content and messages while they analyze the results and align their social media spend to where the ROI is. The reporting rocks. It gives insight to what is happening to your message, day by day, hour by hour. 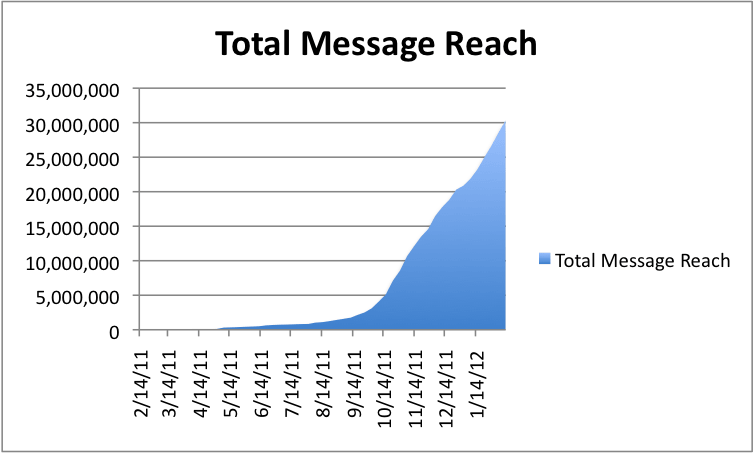 Now you can see the ROI of your social media campaigns. Integrated analytics is amazing. GaggleAMP integrates into other analytics platforms such as Google Analytics providing richer information that these other platforms can take advantage of. GaggleAMP can also integrate into your CRM or marketing automation system to provide closed-loop reporting from prospect to close of sale. Member Scheduling is a game changer. As a Member of a Gaggle, you can easily schedule when the social media messages go out. How many employees are working for GaggleAMP right now? – Between full time and contractors, we are just under 10. You’re in town for the week, what made you guys come to Vegas? – I read about what Tony’s vision was to transform Downtown into a vibrant startup hub. I lived in Vegas as a kid and immediately thought that we need to try to support this effort. I reached out to Tony and offered to support the effort with the use of GaggleAMP. Tony and the team invited us out to see what they were doing. We are glad we did! « Social Fail – Why Don’t They Like Me?